Alcoholism is an illness, a long-term chronic disease, characterized by physical dependence and a strong compulsion to drink. The patient finds it difficult to stop drinking and feels the need for increasing amounts of alcohol in order to get high. 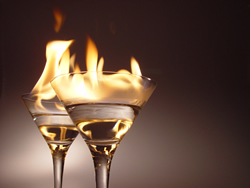 Alcoholics are last to be aware that they have a serious problem with drinking. Most of them are in denial mode however the symptoms of alcoholism are quite obvious when you are familiar with the person. Gradually requiring a greater amount of alcohol to get the high. Gelling with people who drink that gradually turns to drinking alone. Occasional blacking out or temporary memory loss. Unable to control or limit the amount of alcohol consumed. Unable to sustain interest or losing interest in his regular job. Increased irritability while performing day to day chores. An uncontrollable urge to drink and feeling irritable especially when alcohol is not available or chances of procurement is minimum. Indulging in binge drinking to get drunk and feel the high. There is a difference between alcohol abuse and alcoholic. A person who abuses alcohol may have the above listed signs however they do not have the withdrawal symptoms of an alcoholic. The intensity or the urge to drink is not the same as that of an alcoholic’s. 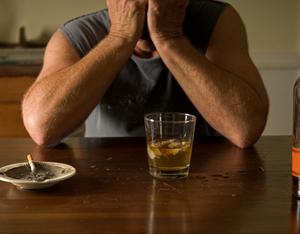 Alcoholism affects the person physically and psychologically. It results in a lot of social problems as drinking becomes a compulsion and takes precedence over other activities and the worst part is it may not be detected for many years. When dependence on alcohol interferes with professional or social life, or affects the health then the person should seek medical assistance or contact a doctor to discuss the situation. Since no alcoholic would admit to dependence on alcohol or voluntarily seek medical help it is for a family member to either convince or compel the person to accept treatment. A. Detoxification, which is needed soon after discontinuing alcohol use and generally results in withdrawal symptoms such as vomiting, nausea, seizures and hallucinations. If not treated competently may result in death. B. 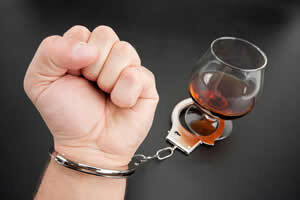 Rehabilitation, which involves medications followed by counseling to give the alcoholics the support to maintain sobriety. C. Being Sober an alcoholic may be discharged from being an impatient and should be a part of regular counseling sessions, meetings and should take part in therapies.